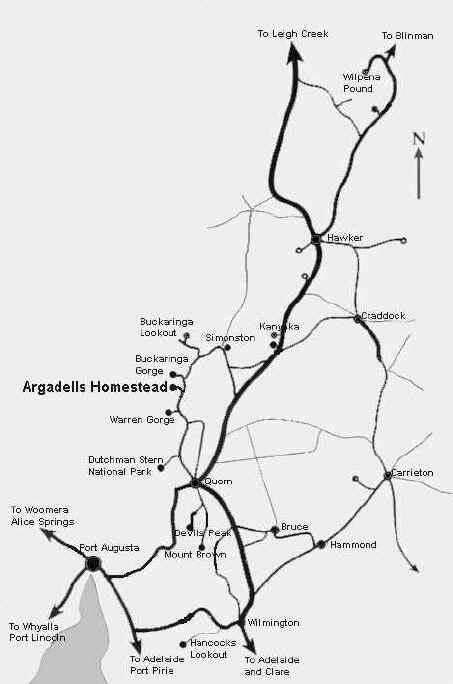 How do I get to Argadells ? Located on the Ardenvale Road, approximately 28 kilometres north of Quorn. Quorn is an outback town 41km north-east from Port Augusta where you can purchase all of the necessities required. Turn off Highway One at Stirling North (7km south of Port Augusta.) Alternatively travel from Adelaide via Clare (3.5 to 4 hours).